VdB 108 (IC 4605, Ced 133, DG 142, LBN 353.24+15.66, LBN 1110 or Magakian 669) is a reflection nebula in the constellation Scorpius. It is locates in the northern part of the constellation, a little more than 1 ° north of Antares (α Scorpii). 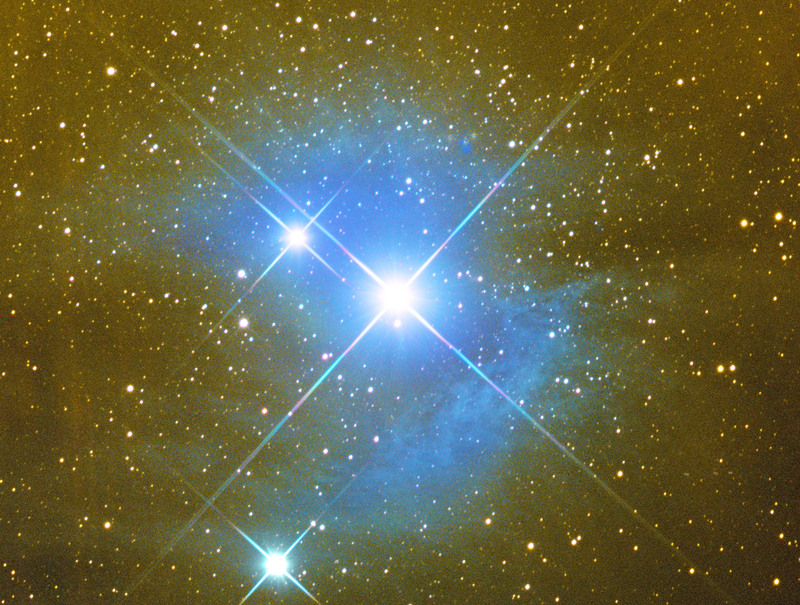 In fact, the falling light streaks on this image are reflections of the red giant star's bright light . They deteriorate the quality of the image, but are unavoidable with this short focal ratio setup. The nebula is a part of the Rho Ophiuchi gas cloud complex that is illuminated by the radiation of the star i Scorpii, also known as HD 148605, a young blue star of the main sequence of spectral class B3V. 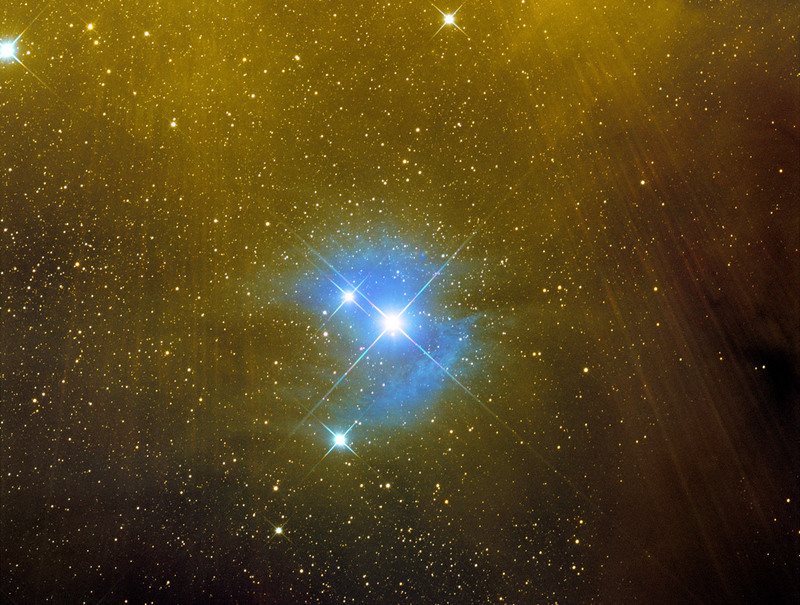 The intensity of the received radiation is insufficient to ionize the gas molecules, so the cloud is limited to reflect the light from the star, appearing in this way blue. The physical link between the star and the Rho Ophiuchi cloud complex is also proven by the measure of its parallax, which places i Scorpii at a distance of about 121 parsecs (393 light years ), comparable to that of the cloud itself.